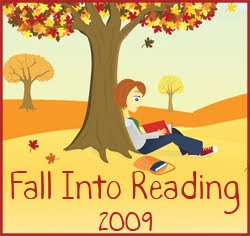 It's time again for Fall Into Reading over at Callapidder Days. I have a very small list right now, comprised of books I checked out from the library. Then, I think I will re-read at least some of the Twilight series and my Outlander series - a new book comes out in a few days!!! It has been awhile since I entertained, so I decided to use the three day weekend to have friends over.....and decided to do it on Sunday so that I would still have my lazy Labor Day Monday to enjoy!! Using my back patio for it's intended purpose - for the first time in three years! It was a little warm still, but it was fun for a while. Then we adjourned inside!